Join Industrial automation training Courses & Classes in noida. Find best automation classes training project support to make your career. 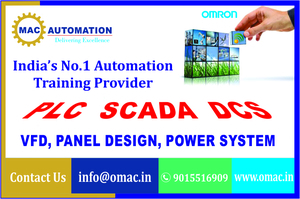 Omac Automation offers 6 weeks training program with live project by industrial expert. Call us at 9015516909 to get free demo classes and also for group discount.